Original Douglas fir columns frame gallery-like vignettes in furniture retailer Avenue Road Vancouver, a rustic-chic B.C. outpost. 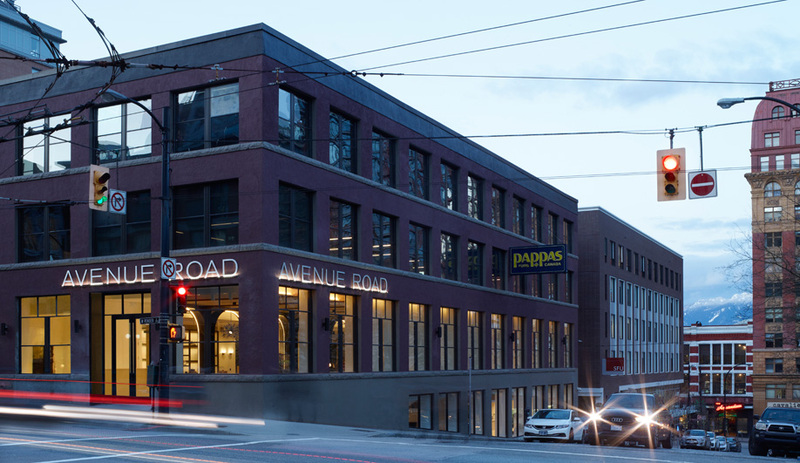 Spanning almost a full city block in Vancouver’s Gastown, the latest Avenue Road location occupies a two-storey, 1,115-square-metre heritage building that elegantly follows the contour of its gently sloping site. 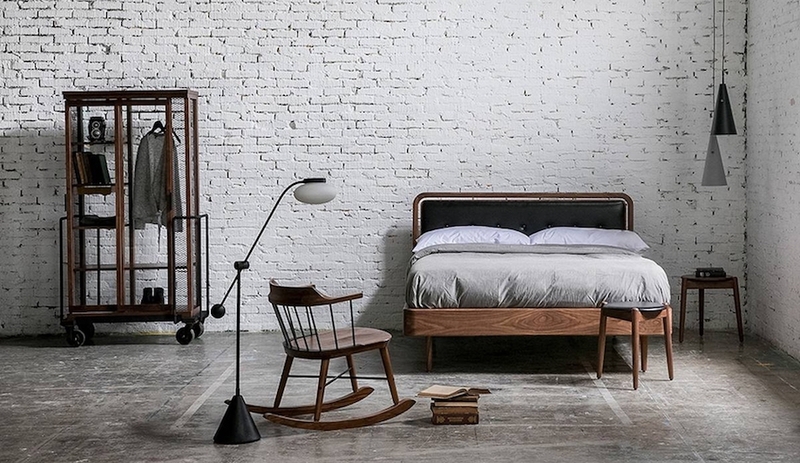 Inside, the high-end furniture retailer’s first foothold on the West Coast (the company has two other showrooms, in Toronto and New York) is decidedly more dramatic. 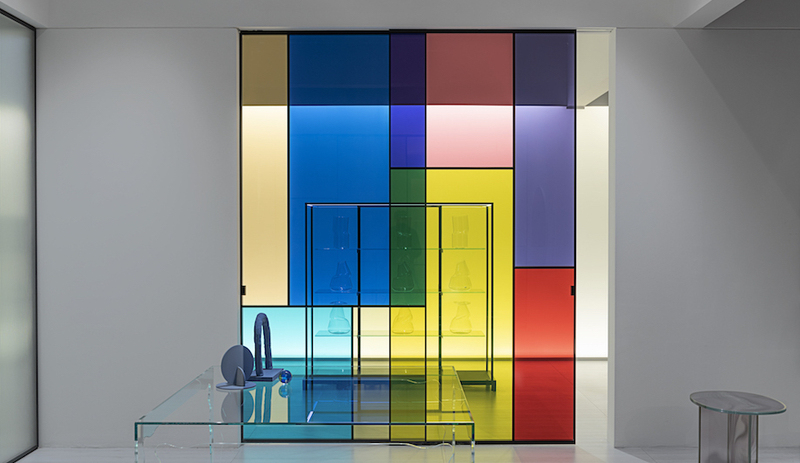 Less a store than a series of stage sets, the space invites visitors to move through a progression of shifting vignettes, each composed of tightly curated pieces that exude a distinct atmosphere. The new Avenue Road is located in a building that once housed a printing factory and a furrier. 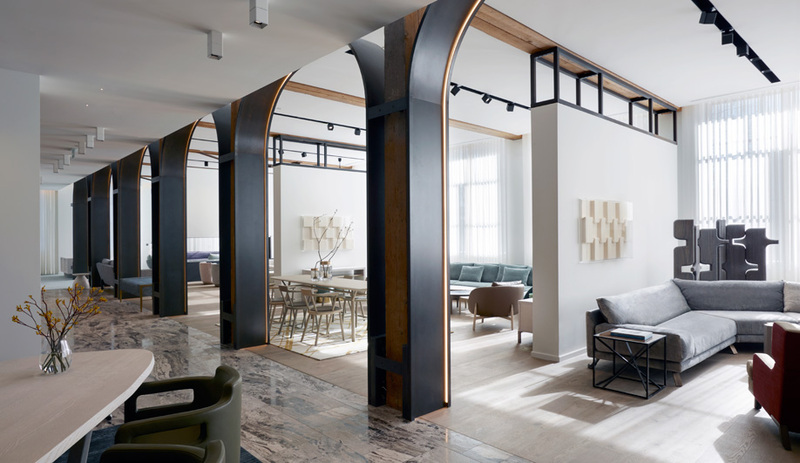 The chosen site, at the intersection of West Pender and Hamilton Streets, impressed designer Abraham Chan, hired to oversee the interiors, almost immediately. Before housing a furrier (whose vintage signage remains a feature of the exterior), the unusually situated structure originally served as a printing factory – a past it shares with Avenue Road’s Toronto store, another triumph of repurposing. 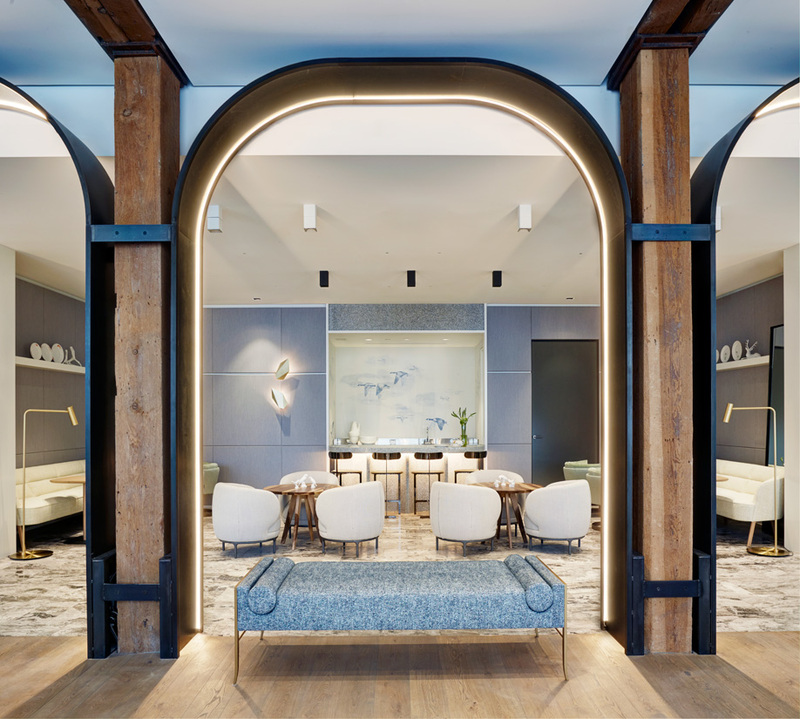 “As a heritage building with a 100-year history, the site itself has a story to tell,” says Chan, principal of the Toronto-based design firm ACDO. The building has two distinct public entrances: the main one on West Pender Street and another portal into the lower level where Hamilton Street slopes down toward the harbour. 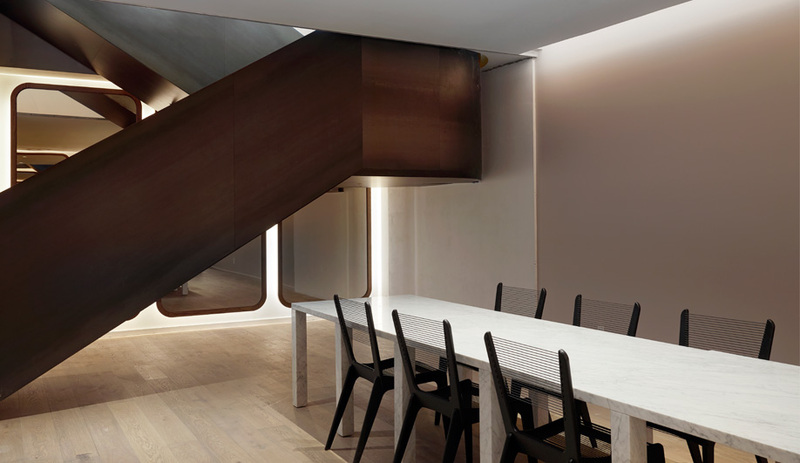 Connecting the upper storey to the lower, which contains an in-house flower shop and a dedicated space for The Rug Company, is a dramatic, sharp-angled staircase made of blackened cold-rolled steel. Illuminated metal arches buttress wooden pillars that run the length of the store. 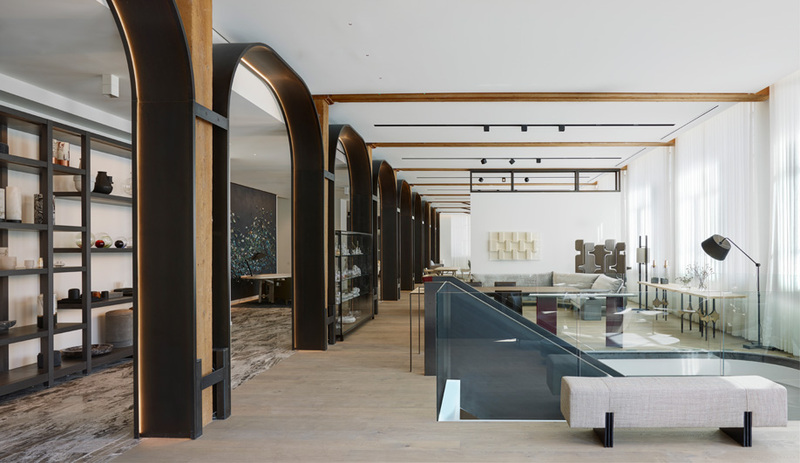 On the upper floor, Chan worked closely with heritage consultants to integrate the original wooden beams and pillars into his update, buttressing the latter features – a single row of massive Douglas fir support columns – with an illuminated metal framework. Conversely, he opted to conceal the original brick walls, shrouding them with pristine sheets of drywall to create a crisp, neutral setting that “celebrates” all that wood. 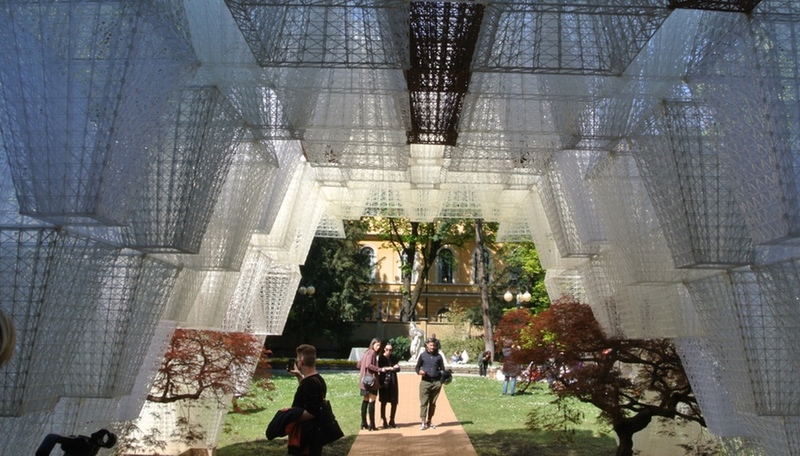 “We wanted to create a link between past and present,” Chan explains. “Our aim was a tailored gallery space in historic Gastown.” Indeed, gallery-like descriptions do appear alongside products, which range from Christophe Delcourt seating to textiles by Raf Simons for Kvadrat. But most items, as meticulously displayed as they are, aren’t meant to be seen at arm’s length. 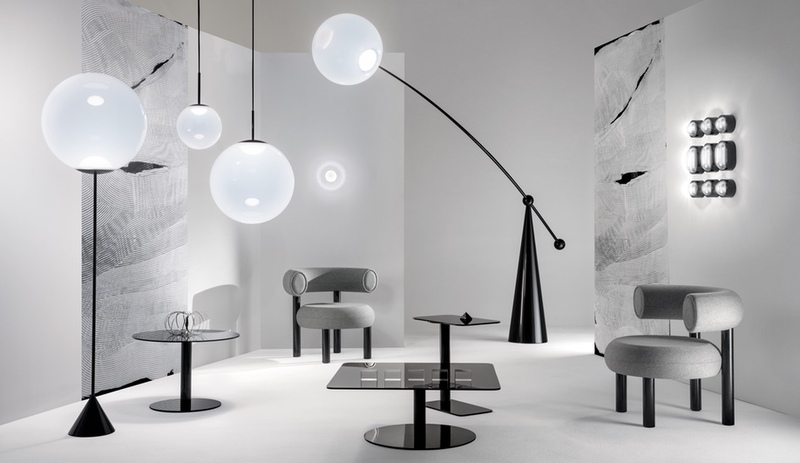 Rather, says Weishaupt, clients are encouraged to sit on the furniture, touch the materials, experience the offerings in as intimate a setting as possible. It’s an “opportunity to relish them,” he explains.